It’s been a rollercoaster of a ride up to this point, and it all comes full circle. Last issue, we found out how Bartlett became a vampire, and how he lived as a vampire up to this point. The mystery of who killed Slap is revealed, and it was someone I wasn’t expecting. Writer Donny Cates, has crafted an intricate story dealing with vampires that try to live alongside humans. Seeing how everything they built just come crashing down, and losing one their own is tragic. Especially, when you weave in a murder mystery. Bartlett was the main focus this issue, having to confront JV about who killed Slap, and talk with the recently turned Father Landry. Having Bartlett talk with the now turned Landry was superb, and how it relates to his own time of being a new vampire. It humanizes Bartlett, and adds more depth to his character. When Bartlett reveals who killed Slap, it makes sense. 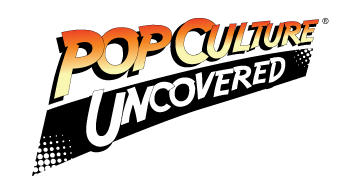 I wasn’t expecting the reveal, because I was so invested in the story, I didn’t see it coming. He is powerful, and it was hinted at in issue three. The dialog is strong in this title, and you can see the characters evolve. The pacing was excellent, and the ending has me so excited for the next issue. Lisandro Esterrens’ art isn’t the best, but I can at least say it’s consistent. Characters still look fine, but the line work on their faces look busy. If he could minimize the number of lines, and clean up the ones he has, the art would look better. At least when tense moments happen in the story, the art looks a little better. Grandpa Bowman is still a creepy looking chiroptera-like vampire, and seeing him in his full form is quite frightening. The environments are still good, and shows the aftermath of the Bowman attack. I don’t have any problems with the panel layouts, and the lettering is solid in its positioning. Dee Cuniffes colors are great, and compliment the dark nature of the story. It helps out the art a lot in making the scenes become more dramatic. 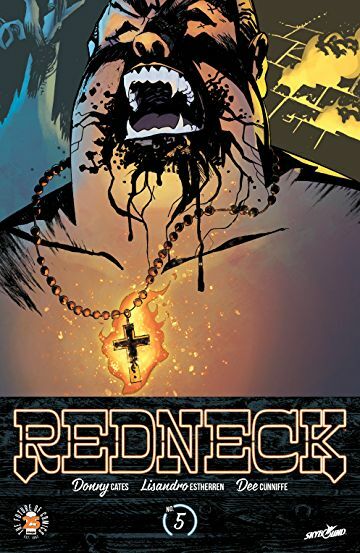 I enjoyed Redneck #5, and it’s still one of my favorite series this year. The only thing I didn’t like was the art. It could be better, but it’s just fine.